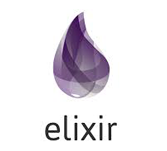 Elixir is a dynamic and functional language which is designed for building scalable and sustainable applications. It is built on top of Erlang and it controls Erlang VM, which is known for running low-latency, distributed and fault-tolerant systems. It is also successfully used in web development and the embedded software domain. This tutorial is helpful for software programmers who are interested learning the basics of Elixir programming language from scratch. It will also provide a solid basic foundation to start programming in Elixir programming language. Before proceeding to learn Elixir, user should have basic knowledge of Computer Programming terminologies. Having knowledge on functional programming will be an added advantage to learn Elixir. How to execute Elixir Online? Execute following program and get the output as well as enjoy learning.